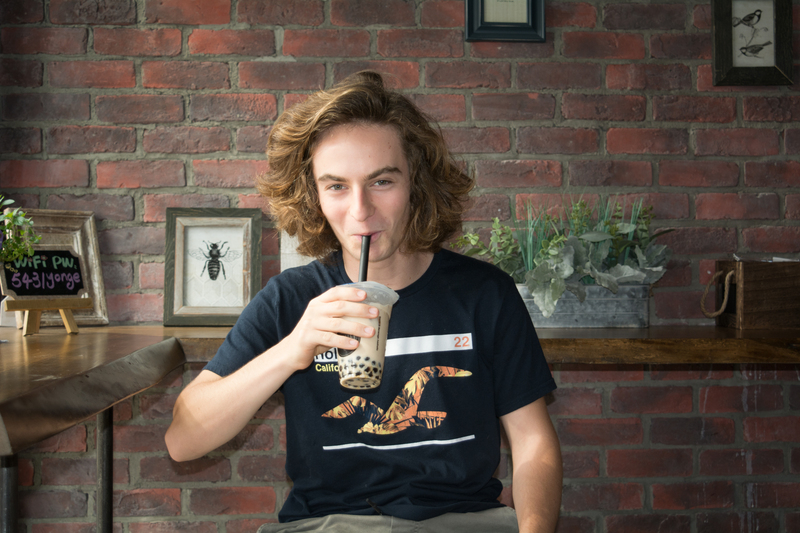 Our next Human of TapMango is an incredibly well-travelled software developer named Matthew. Read all about his TapMango internship below. Tell me a little bit about where you grew up. I grew up in Turks and Caicos, a small group of islands south of the Bahamas. There I went to a small kiteboarding school of 20 students. Together we kiteboarded and travelled to all parts of the world. We didn’t stay in one place for more than a month. Oi, I don’t know. Someone counted. Probably in the teens. Which of them was your favourite? South Africa was my favourite country to visit because the hiking was good. The kiting was nice. A lot of the places we went to were in the middle of nowhere, so if it wasn’t windy and we couldn’t kite, there was nothing to do. Capetown is a big city with Uber Eats and when it wasn’t windy, we could go hiking. We went to this beach (Boulder’s Beach) where there was a bunch of penguins, so we swam with penguins. What’s something you can eat in Turks that you can’t eat here (Toronto)? I like conch salad. Conch is like a sea slug, they have nice shells. In Turks & Caicos they pronounce it ‘conk’. They cut it up and squeeze lime on it and mix it with peppers and cucumber. It’s a typical food to have there. If you go on any boat tour, you can dive and grab conch and the driver will make it for you. What’s something you can eat here that you can’t get in Turks? So while you were busy travelling and kiting, how did you become interested in programming and software development? I’ve always liked computers. When I was younger it just came naturally to me. In grade 3 I was helping the teacher use computers. I don’t even know how I knew it. Did you learn it on your own? I took weekly lessons on Skype with a guy in Canada. I’ve actually never met him, but he’d give me assignments. He took it from the University of Toronto’s curriculum. He would teach you university-level material? Yeah, that was in grade 10, I took a first year course and learned computer science. After that, I had the basics and now I can learn on my own. Google’s really your friend. You’re at the end of your 2nd internship. What do you like about working at TapMango? I like the flexibility. One of the co-founders, Daniel, is a programmer himself and he’s running everything. I’ve read these horror stories about how your manager doesn’t know how to program and they put unrealistic expectations. Daniel knows the work that’s needed and he’s quite understanding. The other developers are pretty cool too. How has the company changed since you were here last year? There’s definitely been growth with a lot of new faces. There’s even a hammock now. What kind of projects are you working on at TapMango? At TapMango I’m redesigning the mobile app. I already re-did the desktop app. What your process for redoing the mobile app? I started from scratch. The old mobile app was written on an older framework, so it was time to upgrade. I looked at how the old app was written, how it handles logging in and user data. I’m also incorporating the graphic designer’s new user interface. What advice would you give to people who are looking to get into this field? Side projects are important for getting jobs as a developer because they’re a way to showcase what you can do. My personal side project was a clone of Instagram. (It’s not for download, I couldn’t publish it – I’d get killed by Instagram). You can post and view and follow people, and I showed that to Daniel and that impressed him. That’s what led Daniel to have me do the mobile app. Thanks for all your amazing work and we wish you the best of luck in school! We’re looking for more talented individuals like Matthew. Check out our Careers page to see how you can join the TapMango team.